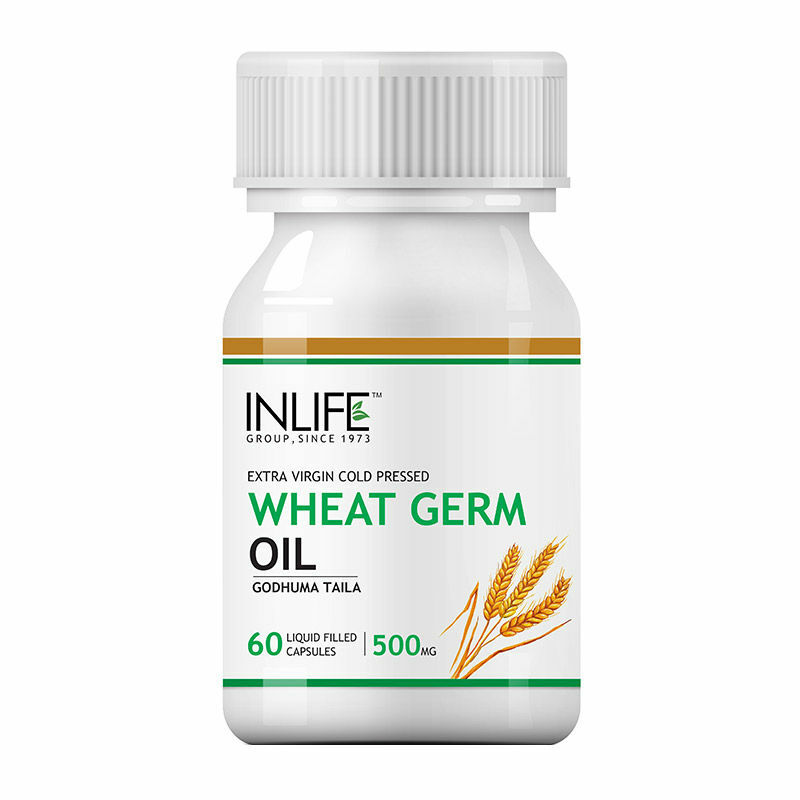 Inlife Wheat Germ Oil is obtained from wheat Kernel. It contains vitamin E which is a powerful antioxidant and has high level of nourishing properties. It is encapsulated in hard gelatine capsule and less susceptible to microbial growth and moisture. 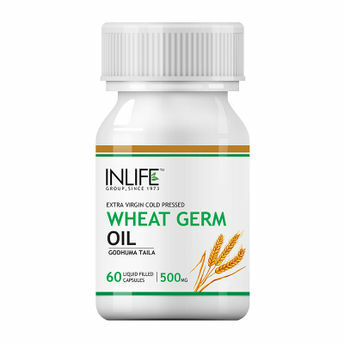 The presence of fatty acids in Wheat Germ Oil capsule helps in reconstruction of new cells in the body. Wheat Germ Oil is high in octacosanol and it acts as physical performance enhancing agent. It is useful for aromatherapy. Controls the blood sugar level in the body. Helpful for treating stretch marks, sun burns and dry skin.